So yesterday I spent the whole day retaking all the photos for the clocks currently in my Etsy shop. Yup, I retook them all. 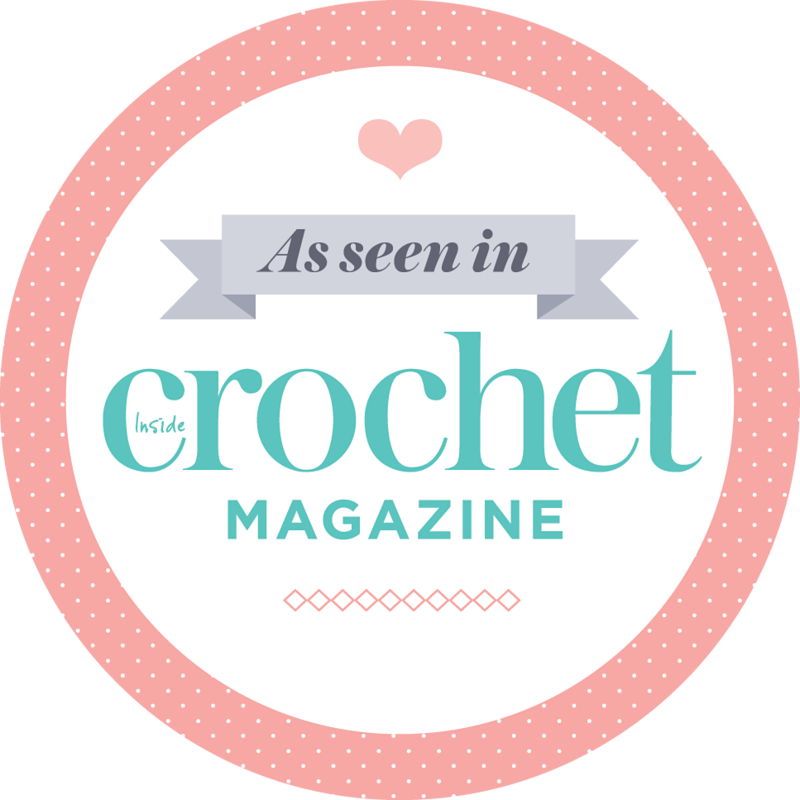 I did this on advice from an Etsy guru, Amity, who said that I need to make my photos more crisp and “clean” so that magazine could pick up on the crochet clocks and use them in features, which would generate more sales. I’ve always been hanging my clocks against my kitchen wall, which is painted a very light green, in order to take photos for Etsy. The photos were fine and I still got a lot of Favourites and Treasury finds using them, but I needed to perfect them, hence following Amity’s advice. I have to say Amity was right! It made a huge difference and it wasn’t even hard to do. I went outside and lay the clocks down flat on white hardboard. It was an overcast day which makes for perfect photos – no harsh shadows, and no glare. Perfect for Etsy photos. 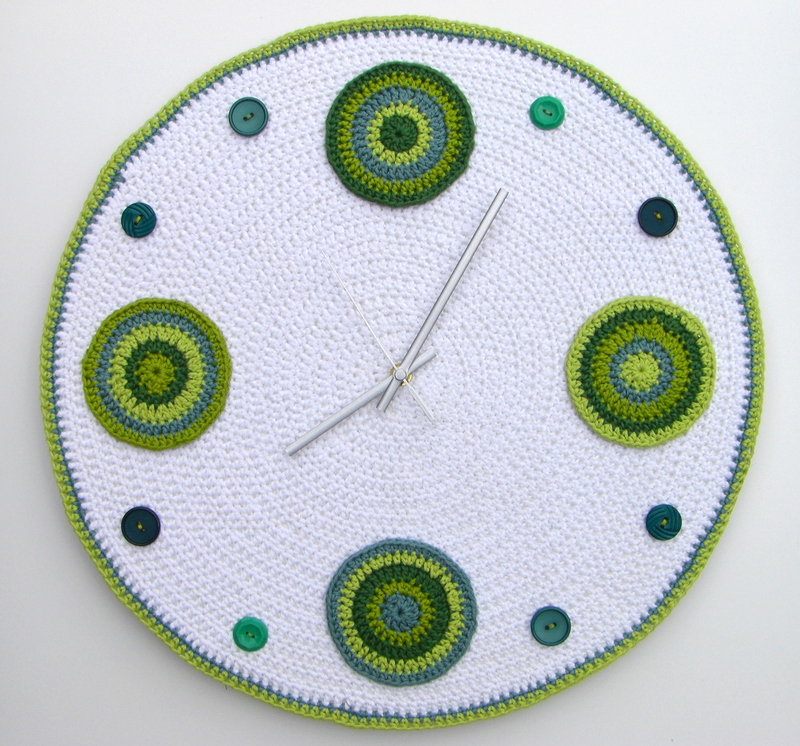 and a jumbo circles clock in shades of green. This bad boy is 45cm diameter! Guess what happened then… I got an email from Ingrid Valls saying that she has featured my three granny square clocks (therefore including newly listed blue granny square clock) on her Spanish blog lastejeymaneje.blogspot.com, which according to Google Translates means “The Weave Endorsements”. How cool is that?! 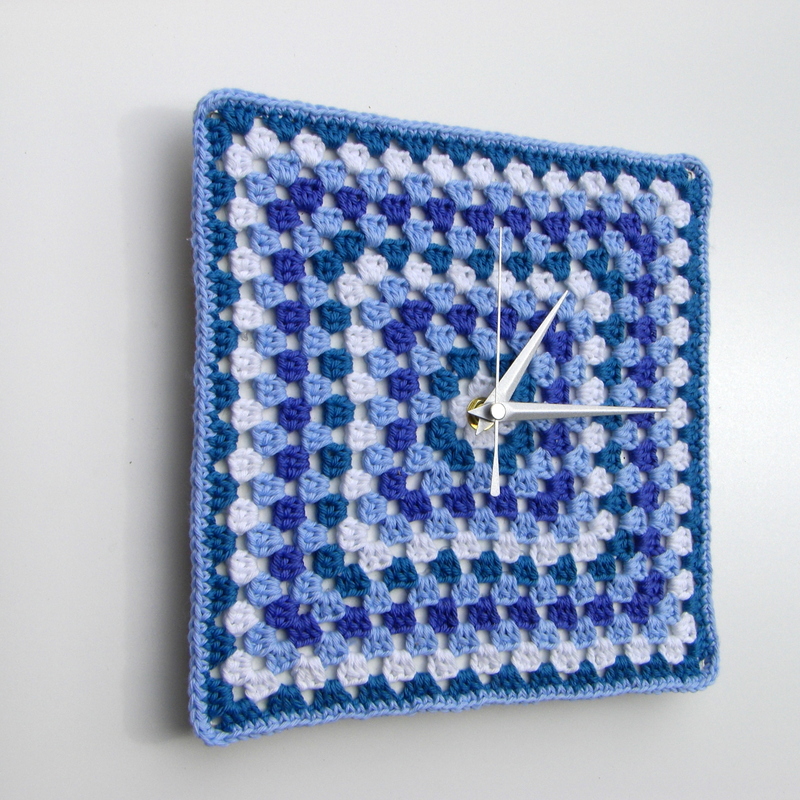 One day on Etsy and the blue clock is picked up by a blogger! Hooray for Amity! 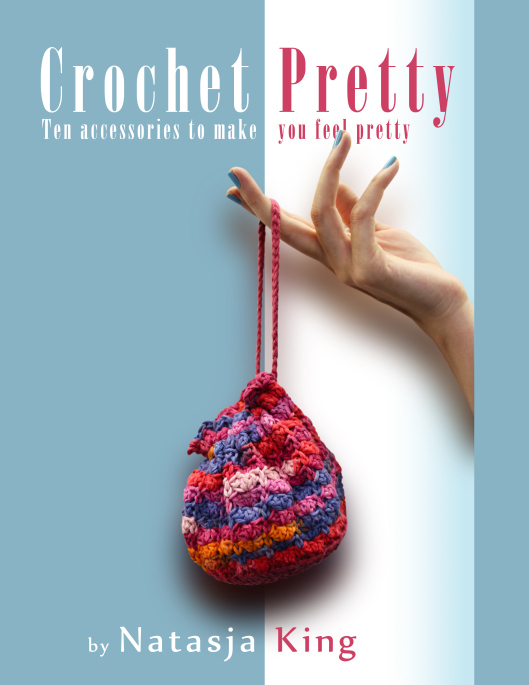 Ingrid’s blog features amazing crochet finds. You should really go have a look! I’ve added a link to the blog in my blogroll for easy clicking. I was especially blown away by John Hamilton’s crochet faces. Thanks Ingrid for introducing me to an amazing artist and of course for including my grannies! I am Ingrid from Las Teje y Maneje! First of all, thanks to mention us on your blog. It’s nice to read you liked! It’s dificult to translate what “Teje y Maneje” means, but I think the correct translation is “shady deal”. But “teje y maneje” is a play on words because the verb “tejer” is the same verb than to knit. I hope I explained correctly!